Isaac Payne’s Painting II students had the opportunity to spend some time with McColl Center resident artist Beverly McIver recently. 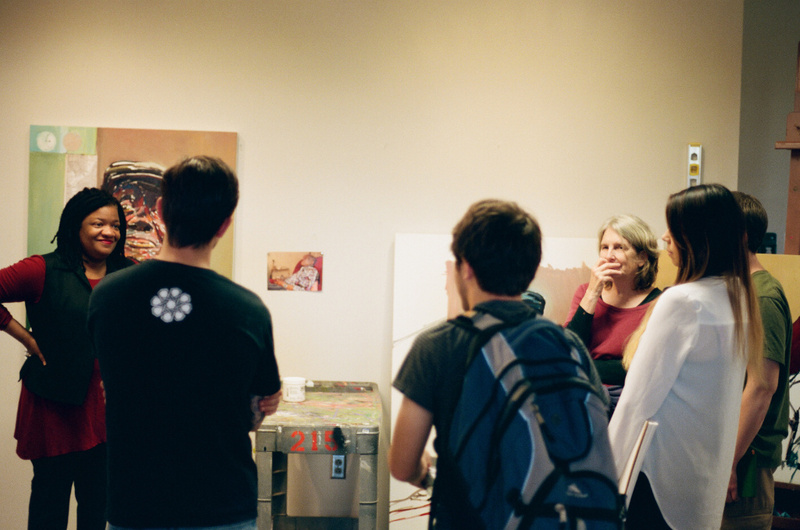 Ms. McIver welcomed the students into her McColl Center studio and discussed her work in detail during the visit. This entry was posted in Faculty, painting by Carolyn Jacobs. Bookmark the permalink.